For many people in recovery from a substance abuse addiction, meditation is an important part of their daily routine. Yet sometimes meditating begins to feel like another daily task to complete. You do it, check it off your list of things to do, and continue on with your day. Naturally practicing meditation is an important part of your daily routine, but it’s also important to maintain mindfulness as you meditate. Keeping a meditation journal is one way to stay connected while bringing clarity and insight to your meditation practice. What Is a Meditation Journal? A meditation journal is a place where you write down what you feel and experience when you meditate. It can be any type of notebook. Some people may choose to use the journal they are already keeping as part of their addiction recovery process, while others prefer to use a special book designed especially for meditation journaling with a pre-printed format. If using a notebook as a meditation journal is not for you, then you can keep a digital journal instead. The format is not as important as the content. What you choose to put in your journal is entirely up to you. You can use the format above, or you can simply put down the date, the amount of time you spend meditating, the technique or type of meditation you use, and any comments that come to your mind. Keep it simple in the beginning and over time journaling will become a natural part of your meditation sessions. It is a way of learning more about yourself as you clearly put your thoughts down on paper. The act of journaling helps you to gain perspective to any situation. 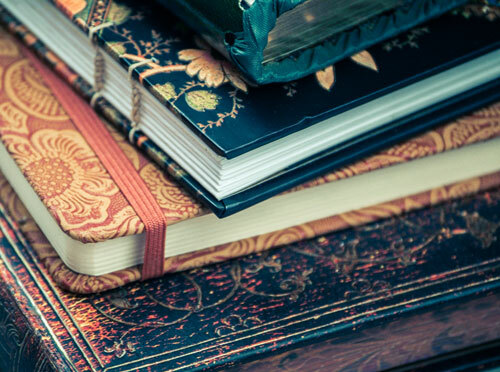 Keeping your journal should be a rewarding, positive, and enjoyable experience. If you prefer, you can write freely about your meditation experience. You do not have to write in a structured way. You don’t need to worry about recalling every detail. Just start writing what you remember the most clearly. A journal entry can be a sentence, a paragraph, or just a few words. Once you start writing and reflecting on your meditation session, more thoughts may come to mind. According to the Melbourne Meditation Center, your journal entry can also be a doodle, sketch, or drawing if these forms of self-expression appeal to you. There are many benefits to keeping a meditation journal that helps to enrich your meditation practice. By taking the time to reflect on your meditation and journal afterward you are building a detailed map of your meditation practice. This helps you to make better choices and decisions instead of possibly repeating the same patterns over and over again. Instead of reinforcing old habits, you are able to learn from your past experiences. People learn and process information in different ways. Keeping a journal provides an additional way to investigate your meditation session as you build clarity about your experience. There are many studies including one by Harvard Health Publishing from Harvard Medical School that explains that writing often helps a person process stress, emotions, and trauma. If painful experiences or difficulties come up during a meditation session, writing about them and your feelings can provide a release. Over time, your journal will provide the history of your meditation practice. By looking back, you will be able to see the progress that you made in an objective way. You will be able to identify the emotions and issues that are the most troubling, learn the experiences you continually avoid, and clearly see the things that bring you enjoyment and satisfaction. Seeing your accomplishments in a concrete form can help boost your self-esteem and provide motivation when you are struggling with triggers and cravings. When you have a written record of everything you stand to lose by relapsing, it will be easier to hold yourself accountable for your recovery. According to Michelle Dalbec, yoga teacher, life coach, and faculty member at the Kripalu Center for Yoga and Health, by combining journaling and meditation we are opening up ourselves to the “richness of our interior life” as we explore our deeper self-expression and self-reflection of our daily existence. She goes on to say that both practices together create a space of discovery that is open-hearted. Together they allow you to see things as they are. By not critiquing or changing things, by just letting them be as they are, you can see and write down your feelings, thoughts, and sensations as they come to your mind. Often, the clarity it brings allows you to change your perspective of a situation or experience. By combining journaling with meditation, you have the ability to derive perspective and wisdom from your inner being. You will have a much better understanding of the messages of your unconscious mind, which will allow you to continue to progress in your recovery journey. Learn more about programs offered at Canyon Vista Recovery Center, Arizona treatment centers.